Look no further for a Dallas-Fort Worth jazz band or saxophonist for your event! 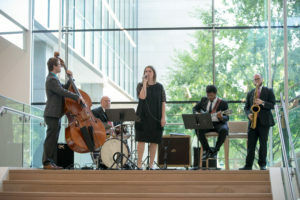 The Justin Pierce Jazz Band performs for wedding receptions, holiday parties, Christmas parties, and corporate events. Justin mentors a diverse range of students in the Dallas-Fort Worth area, including middle school, high school, and college students, as well as adult hobbyists. Curious about our jazz style? Check out some of our recordings and videos. Dallas-Fort Worth saxophonist and woodwind artist Justin Pierce began his musical career in the musically diverse region of the Texas-Louisiana Gulf Coast. He began saxophone studies at age 12, and discovered a passion for jazz in the middle school jazz ensemble. Since that time, he has performed across the United States and internationally, earned degrees in both classical and jazz styles, and taught at the secondary and college levels. 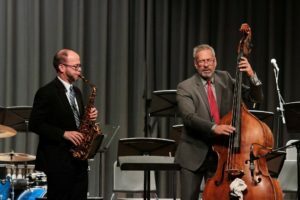 Justin currently serves as Assistant Professor of Instrumental Music at Oklahoma Baptist University in Shawnee, Oklahoma, where he directs the jazz ensemble and touring band, in addition to teaching saxophone, clarinet, and improvisation lessons. Previous institutions where Justin has taught include: Cameron University, Eastfield College, and the University of North Texas. He holds a Master of Music in Jazz Studies degree from the University of North Texas and a Bachelor of Music Performance degree from McNeese State University. His major professors have included: Mary-Karen Clardy (flute), Rick Condit (saxophone/jazz), Rich DeRosa (arranging/composition), Brad Leali (saxophone/jazz), and Eric Nestler (saxophone). This year, Justin will complete his final year of doctoral studies in Saxophone Performance at the University of North Texas. 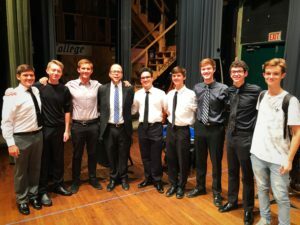 At the University of North Texas, Justin performed as a member of the UNT Symphonic Band and One O’Clock, Two O’Clock, and Latin Jazz Lab Bands. 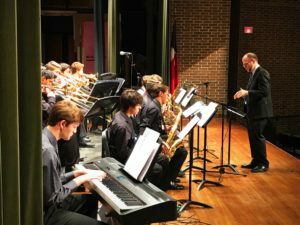 As an active musician, he leads a five-member ensemble, The Justin Pierce Jazz Group, that performs regularly in the Dallas-Fort Worth Metroplex. The group recently served as the featured performer at the Charlie Christian Jazz Festival and the Sherman Jazz Festival. Justin is a Conn-Selmer Performing Artist and Vandoren Regional Artist. 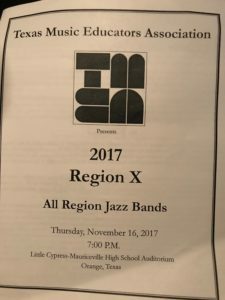 Looking for a Dallas-Fort Worth jazz band? You've found it. Check out the events to see what's new! Hear the Justin Pierce Jazz Band in the listen section. Additional support for educational events at schools and universities may be available from Conn-Selmer and Vandoren USA. Host Justin as the guest clinician/artist at your next event! Here’s a saxophone-guitar duo version of the Advent/Christmas hymn “O Come, O Come, Emmanuel” with jazz guitarist Demarcus Baysmore. Recorded live at the Oklahoma Baptist University Hanging of the Green 2017. In August, our jazz band performed for an appreciation dinner for 250 American former POW veterans. The Perot Companies in Dallas, TX hosted this annual event on Thursday, August 16, 2018. The gathering displayed appreciation for the service of former POWs who served in the Korean and Vietnam Wars. While the Veterans toured the museum, our jazz band played jazz standards and songs of the 1950s and 1960s. 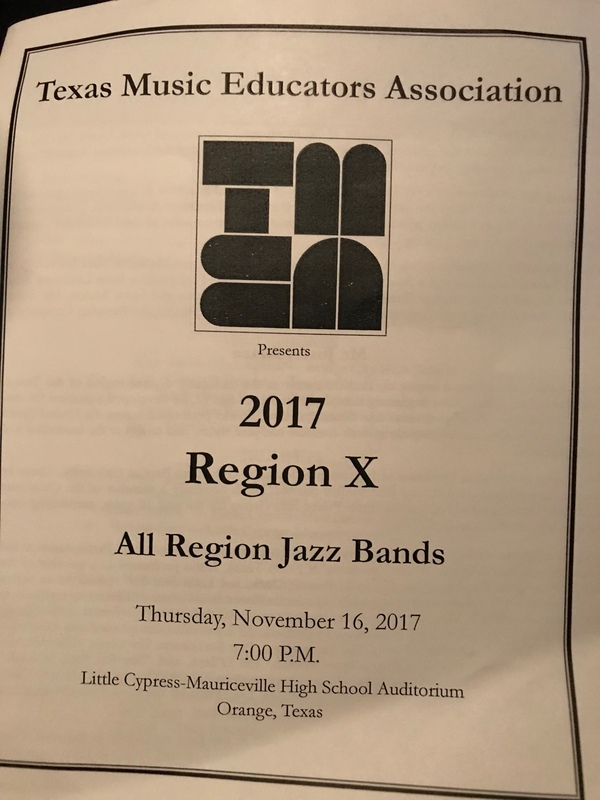 In November, I had the pleasure to serve as the clinician for the 2017-2018 Region X All-Region Jazz Band I in Orange, TX. This enthusiastic, auditioned group of high school jazz musicians assembled a concert of challenging big band music in only two rehearsals. I also had the privilege to perform a tune with Louisiana jazz educator and bassist Jay Ecker, who directed Band II. Thanks to organizer Jose Ochoa for his hard work in organizing this event! Curious about our sound? Listen to some of our music before contacting us! E-mail Justin to reserve your date! 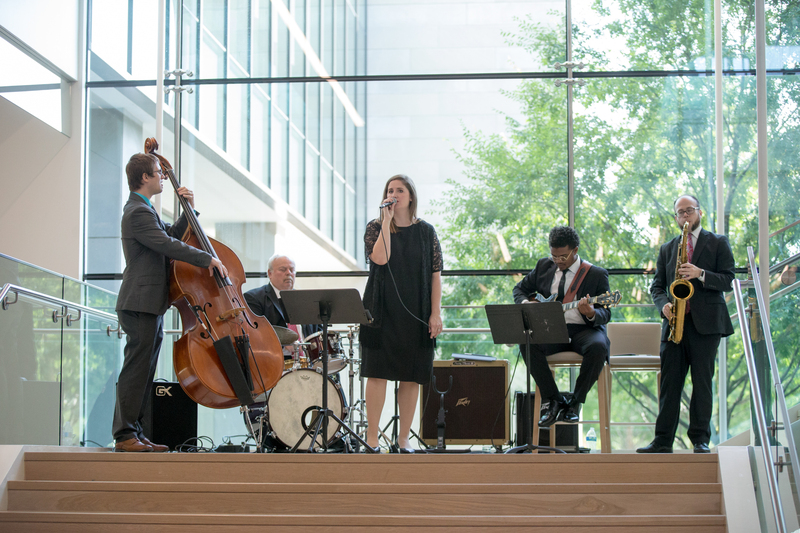 Look no further for a Dallas-Fort Worth jazz band or saxophonist for your event! The Justin Pierce Jazz Band performs for wedding receptions, holiday parties, Christmas parties, and corporate events. The instrumentation consists of: vocals, saxophone, piano, bass, and drums. Repertoire and songlist can be tailored to your event and can include background music as well as dance music. 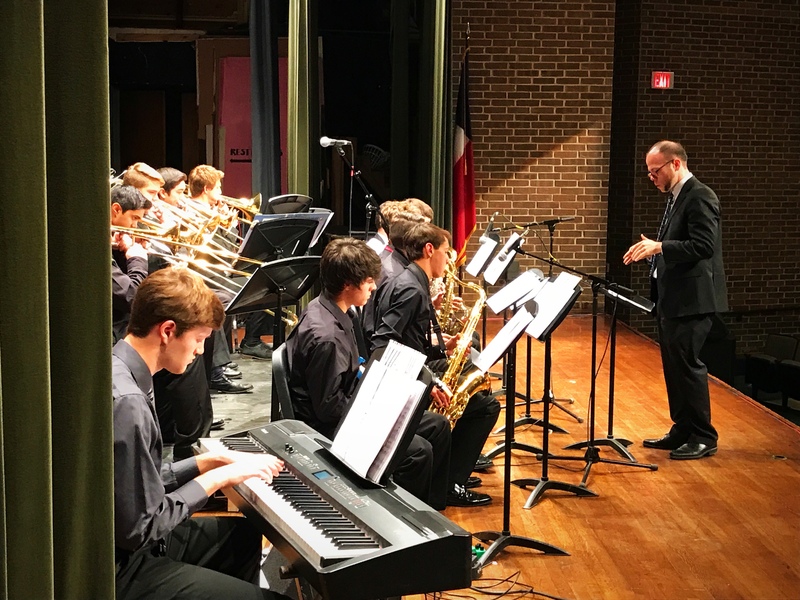 The DFW jazz band performs swing band music, bossa nova, blues, Motown, the music of Frank Sinatra, smooth jazz, and 60s and 70s R&B. Our song list can be viewed as a PDF file in the link below. Special requests by clients not listed on our song list are always welcome! To book the Justin Pierce Jazz Band, please contact Justin Pierce with the form below, or call (409) 658-5281.